I’ve discovered an even easier way of planning our country walks. 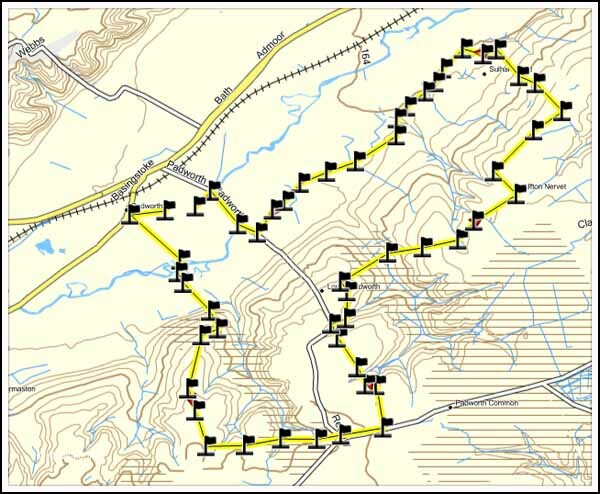 The Ordnance Survey (OS) website allows users to plan and export a route to a Garmin gps unit. Note…. It’s free to register <info here>. What I’ve started doing is use the OS website leisure maps <here> to plan our walks. The advantage of the leisure maps is they show all the public footpaths. I then save the planned walk. It can then be exported from the OS website as either a kml (Google Earth format) or a gpx (Garmin gps) file. Note: the OS program only allows the route to be exported to a Garmin gps unit. Whilst we have a Garmin gps I prefer to look at the route in the Garmin Mapsource program before transferring it to the gps. However Mapsource will not accept gpx files. So I use the GPSBabel program to convert the gpx file to gdb format which can then be loaded into Mapsource. (when the route gets transferred from Mapsource to the gps it gets converted back to gpx format). If you don’t have a Garmin gps you could export the gpx file to your pc and then use GPSBabel to convert the route format from gpx or kml to your brand of gps.